Casa Marina Beach and Reef Resort! Casa Marina Beach & Reef Resort in Puerto Plata is quickly becoming one of STS Travel’s most popular spring break 2017 destinations! Located on the north coast of the Dominican Republic, Puerto Plata has a beautiful scenic area with ideal beaches and a breathtaking mountain backdrop. 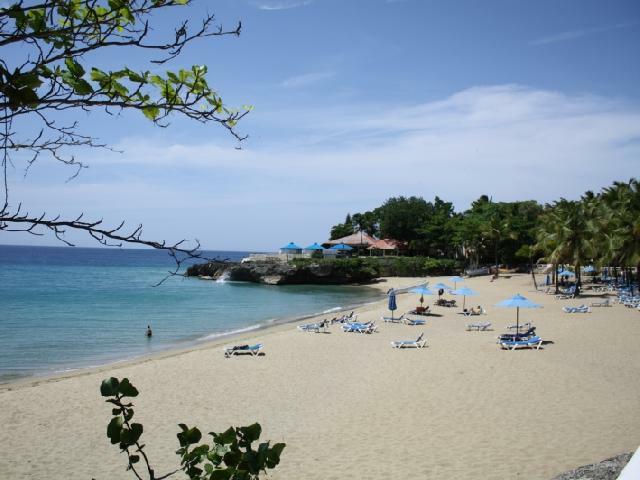 The resort is a quick ride from the airport and within walking distance to the nearby town of Sosua. Spring breakers who are looking to avoid breaking the bank, this is your spot. Starting at $1093.00/ per person, Casa Marina Beach & Reef Resort is by far one of the best deals we offer when it comes to getting more bang for your buck! 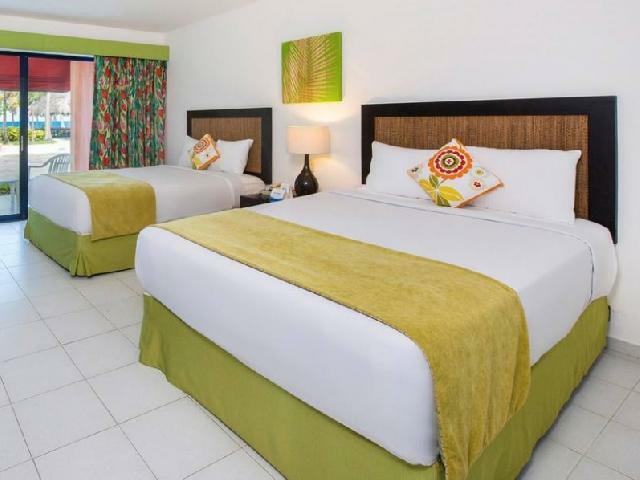 Casa Marina Beach & Reef resort has 678 rooms each featuring two double beds, full bath, balcony, safe deposit box, air condition, flat screen TV and telephone. Although you may not be spending much time in your room you will be happy to know that you have a nice place to lay your head at night (or in the wee hours of the morning when you are finally partied out.) Each room allows for up to an occupancy of 4 people per room. You will be neighbors with a ton of other spring breakers as rooms will be in a designated party section of the resort! Casa Marina Beach & Reef Resort is an all-inclusive resort which means all food and drink (yes, even alcohol) is included in your price! Food options are plentiful with a wide variety of cuisine. Located on the resort are 2 buffet style restaurants and 3 al la carte style restaurants. Enjoy classic Italian dishes at Luiggi Restaurant, your favorite Seafood at Sea Scape Restaurant and authentic Mexican food at Jalapeno Restaurant. Of course, drinks will be flowing from the early morning until the night with your choice from 6 different bars. We cannot forget about the legendary Calypso Disco located conveniently at the resort that keeps the party going until 3 a.m.! Daytime is not only for tanning but will also be jam packed with entertainment and day drinking. Take your pick from 3 giant pools to cool off or perhaps you want to sit cliff-side in one of their massive Jacuzzis overlooking the ocean. The beach is also open for lounging, drinking, beach activities or of course, jumping into the crystal clear ocean water. Better yet, STS Travel will also be hosting daily parties on the resort featuring Dj’s who play the latest music that get the whole resort up and dancing. STS Travel will also be holding drinking contests and dance contests in the spirit and tradition of spring break. Which school parties the hardest? We will find out at Casa Marine Beach & Reef Resort! Off of the resort is a whole other enticing aspect of going to Puerto Plata for spring break. 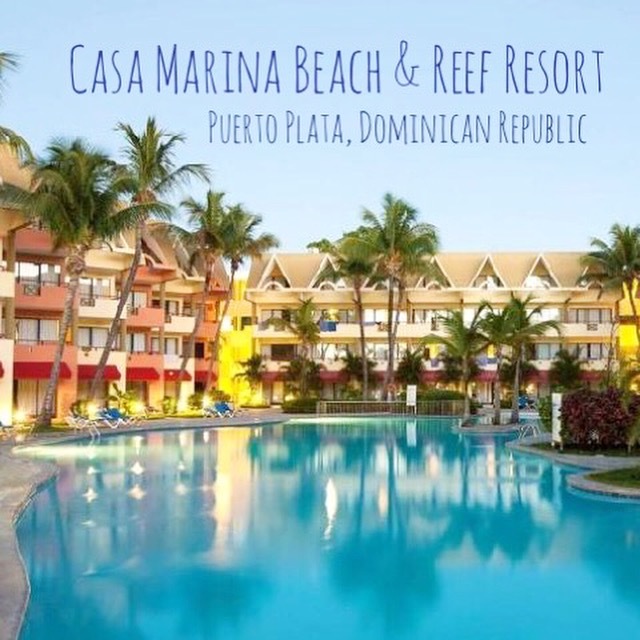 Casa Marina Beach & Reef Resort is within walking distance to other restaurants and bars where you can meet up with other spring breakers and hang with the best local Dominican party-people. Popular bar Senor Rock is located a few miles from Puerto Plata and is known to have amazing live music every night of the week. 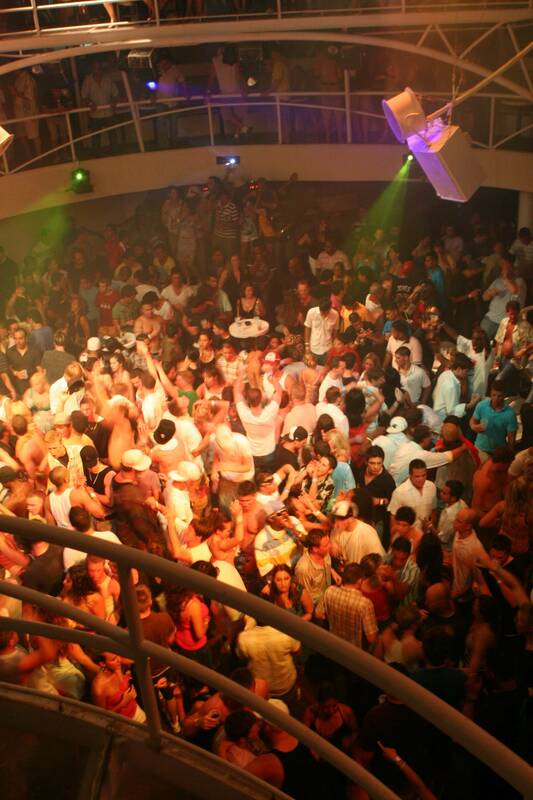 STS Travel will have a VIP Party Package including 2 or 3 nights out plus the legendary booze cruise. You even have a lavish casino within your reach. Ocean World Casino is the most elegant Casino in the Dominican Republic. The luxurious surroundings give a Las Vegas experience in a Caribbean paradise setting. Ocean World Casino offers a full slate of table games, including Black Jack, 3 Card and Texas Hold’em Poker, Roulette, “Big 6”, Craps, and a new table poker game, Super Peek Hold’em. So go ahead and take your chances if you’re feeling lucky! With a 360 degree Ocean View, the Lighthouse lounge & disco is located on the 4th floor of our main Casino building. This exclusive disco offers a wide selection of music from all over the world, the best songs and most popular themes; as well as drinks for all tastes. The modern infrastructure along with a friendly staff will make you feel like a super VIP! It is definitely the most spectacular and classy Lounge & Disco Bar of the island, completely dressed in white, with comfortable sofas where you can relax and enjoy the unparalleled view and the best music. Wednesdays night’s karaoke are the most popular, and Thursdays thru Saturdays are tropical nights. Puerto Plata is also known for its water sports and dolphin habitats. 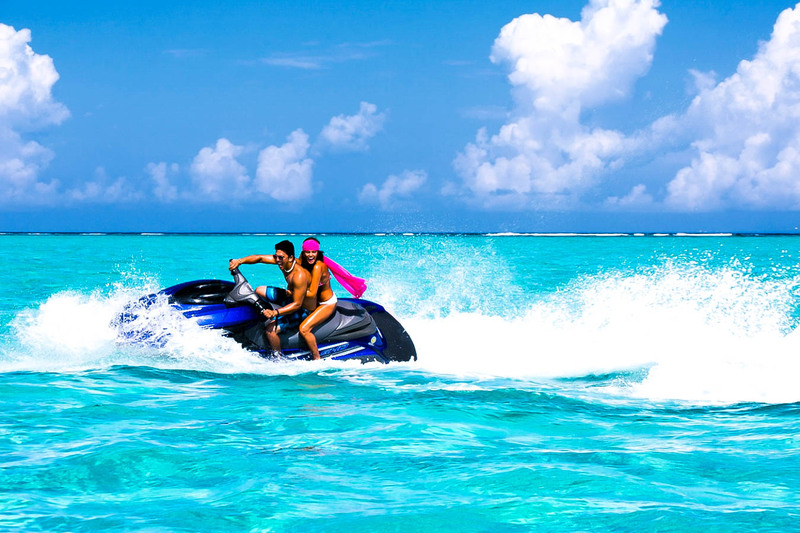 Water sports like jet skiing and kite surfing are at your finger tips. Take on Ocean World Adventure Park which is the most advanced marine interaction park of its time. It is the largest man-made dolphin habitat in the world! Guests of Ocean World Adventure Park have the opportunity to touch, pet and feed dolphins, sea lions, sharks, stingrays, exotic tropical birds, meet tigers, walk through a tropical rain forest and much more.Ocean World Adventure Park emphasizes personal experiences between guests and marine animals through interactive programs. There are only a handful of such facilities in the world, and none that rival the variety and quality that Ocean World Adventure Park provides. From day to night you will be enjoying every aspect of paradise that Puerto Plata has to offer. The Dominican Republic is one of the most visited destinations and it is not hard to see why. Whether you are here for the beaches, parties, music or sun the DR has got you covered. Contact STS Travel today to speak to an agent. Large groups are already booked at this destination so what are you waiting for? Come join the party!